The Civil War was fought in many places across the southern landscape, but perhaps no region held as much importance to the Union's Anaconda Plan as eastern North Carolina. Control of the sounds and rivers of North Carolina was vital to cutting off the Confederacy's southern supply routes to Virginia. 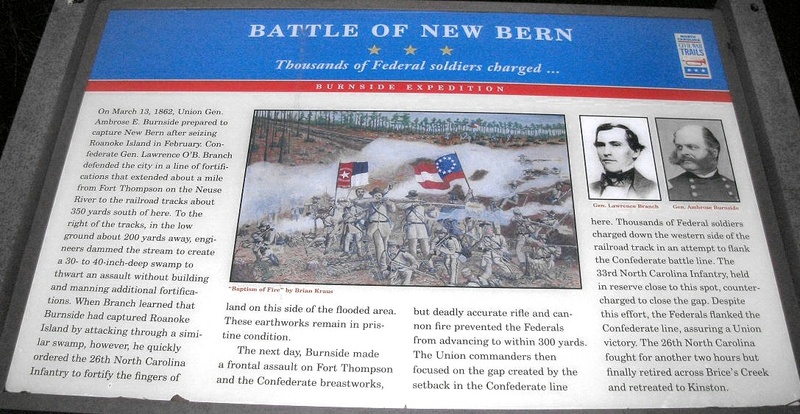 The Battle of New Bern (spelled New Berne at the time) was a key objective in said plan, and many soldiers, both Union and Confederate, died for this strategic objective. The author offers fascinating sketches of major and minor personalities, including the new president and state governors, Generals Lee, Beauregard, Pickett, Sherman, D.H. Hill, and Joseph E. Johnston. Rebels and abolitionists, pacifists and unionists, slaves and freed men and women, all influential, all placed in their context with clear-eyed precision. If he were wielding a needle instead of a pen, his tapestry would offer us a complete picture of a people at war. Midwest Book Review: The Civil War in the Carolinas by civil war expert and historian Dan Morrill (History Department, University of North Carolina at Charlotte, and Director of the Charlotte-Mecklenburg Historical Society) is a dramatically presented and extensively researched survey and analysis of the impact the American Civil War had upon the states of North Carolina and South Carolina, and the people who called these states their home. A meticulous, scholarly, and thoroughly engaging examination of the details of history and the sweeping change that the war wrought for everyone, The Civil War In The Carolinas is a welcome and informative addition to American Civil War Studies reference collections. Union setbacks in Virginia, however, led to the withdrawal of many federal soldiers from North Carolina, leaving only enough Union troops to hold a few coastal strongholds—the vital ports and railroad junctions. The South during the Civil War, moreover, hotly contested the North’s ability to maintain its grip on these key coastal strongholds. 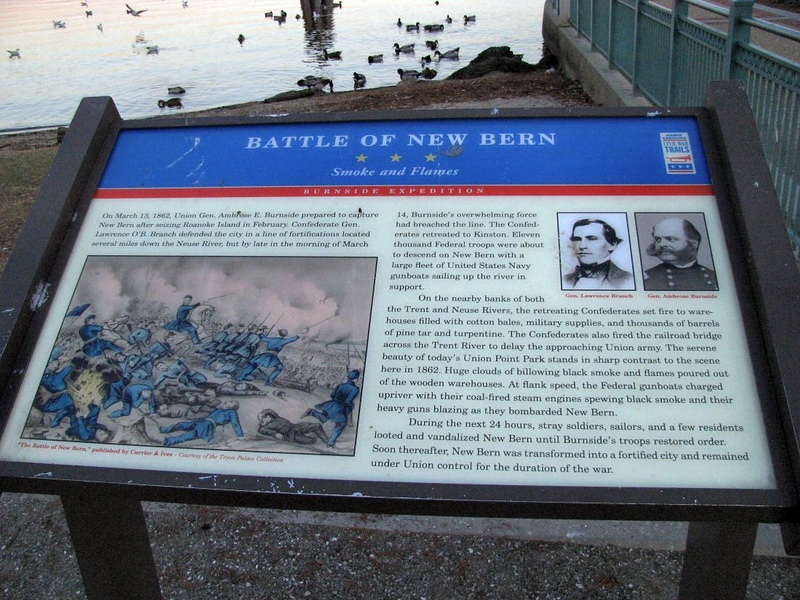 From official records, contemporary newspaper accounts, personal journals of the soldiers, and many unpublished manuscripts and memoirs, this is a full accounting of the Civil War along the North Carolina coast. For most of the Civil War, the navigable portions of the Roanoke, Tar, Neuse, Chowan, and Pasquotank rivers were occupied by Federal forces. The Albemarle and Pamlico sounds, as well as most of the coastal towns and counties, were also under Union control. With the building of the river ironclads, the Confederate navy at last could strike a telling blow against the invaders, but they were slowly overtaken by events elsewhere. With the war grinding to a close, the last Confederate vessel in North Carolina waters was destroyed. William T. Sherman was approaching from the south, Wilmington was lost, and the Confederacy reeled as if from a mortal blow. For the Confederate navy, and even more so for the besieged citizens of eastern North Carolina, these were stormy days indeed. Storm Over Carolina describes their story, their struggle, their history. Recommended Reading: The Civil War in Coastal North Carolina (175 pages) (North Carolina Division of Archives and History). Description: From the drama of blockade-running to graphic descriptions of battles on the state's islands and sounds, this book portrays the explosive events that took place in North Carolina's coastal region during the Civil War. Topics discussed include the strategic importance of coastal North Carolina, Federal occupation of coastal areas, blockade-running, and the impact of war on civilians along the Tar Heel coast.